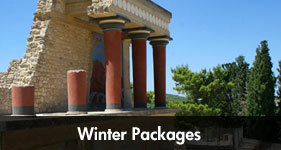 Through our newsletter, you will be able to uncover secrets of Greece all year round! 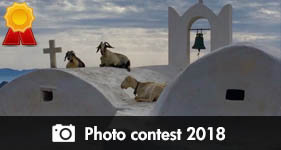 Tips for destinations, announcements of upcoming festivals, hotel offers, launch of Greek ferry schedules, updates on our photo contest, and so many other fancy things will be arriving in your mailbox every month. Are you planning your first trip to Greece? Are you always interested in travel offers? Have you just returned from Greece and already miss your holidays? Brighten your days, sign up for our newsletter now! Just to entice you… have a look at our most recent newsletter! ♡ Check out this week's photo & latest blog posts and events! Welcome to the Greeka.com newsletter! Thanks for signing up. 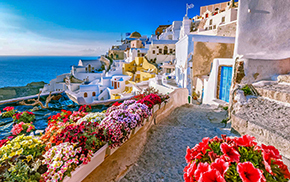 Enjoy our travel tips and get inspired for your next visit in Greece! 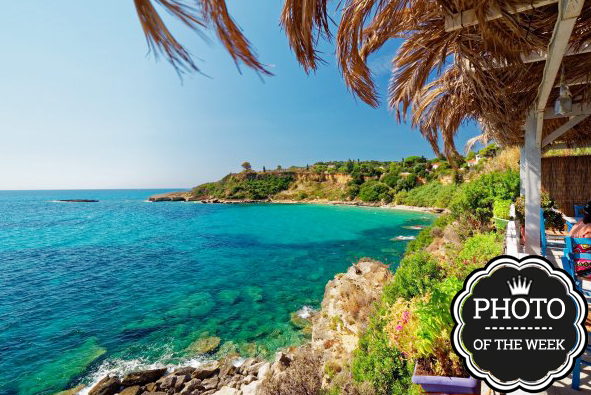 This week's photo has been uploaded by the Greeka.com member cigognes and depicts the breathtaking crystal turquoise waters of Kefalonia island! Famous for the exotic beaches and the picturesque seaside villages, Kefalonia is an island ideal for family and romantic holidays. Don't wait any longer! Dive in the beauty of Kefalonia. Santorini is a beautiful and photogenic island! The reasons why it should be on the top of your bucket list are way too many. We managed to create a shortlist though. 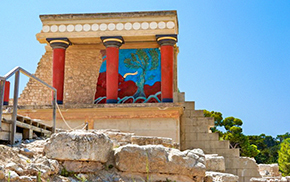 Located on the eastern side of Crete, Heraklion is the most popular region of the island. And here is a guide for everyone who wants to visit this beautiful place! 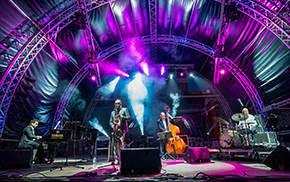 Athens Jazz Festival is one of the longest-running festivals in Greece. It has an international character because it hosts bands from several countries. 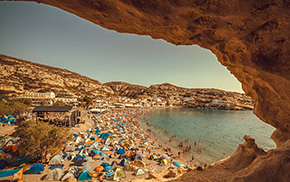 Matala Beach Festival is undoubtedly one of the top hippie festivals in Europe and a pole of attraction for both local and foreign visitors. Matala festival is all about music! Wrong email. Make sure you write the email correctly and re-submit. Thank you for your registration to our newsletter.